The name of the show – Own Their Own – comes from what Pipkin and Hancock say is a uniquely West Texan pronunciation quirk. “Own, O-W-N, is how West Texans pronounce the word O-N,” explains Hancock. 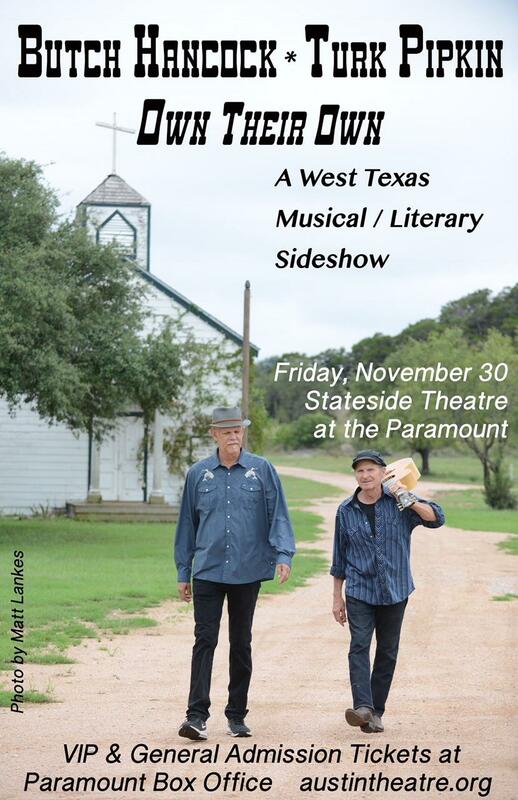 Butch and Turk: Own Their Own is November 30 at the Stateside Theatre.